How Much Do Snap-In Dentures Cost? What Types of Dentures Are Best for You and Your Budget? According to the American College of Prosthodontists, over 36 million people in the U.S. do not have any teeth, and 120 million people are missing at least one tooth. Are you among this population in need of either dental implants or dentures? If so, navigating your prosthodontic options can be difficult, especially if you have financial concerns. Fortunately, snap-in dentures costs are relatively low—even lower when you choose a teaching clinic like Penn Dental Medicine for dental care. A dental implant is a tooth replacement that is surgically inserted into your jaw. Dentures are removable appliances— usually reserved for patients who have multiple missing teeth. Wearing dentures can help with patient’s eating, speaking and building confidence in their smile. 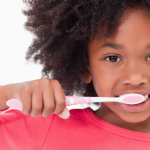 These devices require the same level of cleaning as natural teeth do. Therefore, rinsing, brushing, and storing your dentures in a safe place when you are not using them are all essential care techniques. Conventional dentures are not placed in your mouth until after all teeth are removed and tissues have healed. This process can take several months. Immediate dentures can be inserted the same day your teeth are removed. 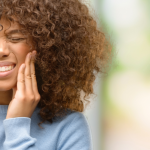 While having “teeth” during your healing period is a relief to many patients, note that you may still need to get the dentures relined after the jaw has fully healed. Overdentures fit over the remaining natural teeth in your mouth. This option is suitable for patients who have some teeth that can be saved and supported by the denture. An implant-supported denture functions a bit differently. The process involves first inserting and anchoring the necessary implants into the jaw. Next, an extension that can snap on and off will hold the implants in place. Snap-in dentures are an affordable denture choice for patients who need several teeth replaced but cannot afford the cost of multiple implants. Penn Dental Medicine believes in access to affordable prosthodontic care. 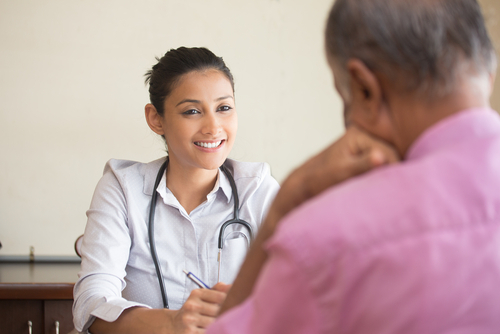 Because we are a teaching clinic affiliated with the University of Pennsylvania School of Dental Medicine, we provide discounted procedures and treatments for Philadelphia residents and surrounding communities. 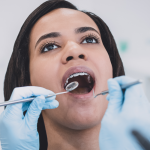 At your first appointment, one of the student dentists from the prestigious University of Pennsylvania School of Dental Medicine will examine your mouth and determine the best type of treatment you need. 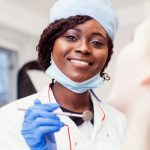 Our student dentists always work under the supervision of professional faculty members, so you can rest assured you are getting the highest quality of care possible. To further improve the cost of this first appointment, we are offering all first-time patients a $25-off coupon! Make sure to print the coupon and bring it to your next visit. For more information about snap-in dentures costs, or to schedule an appointment for a consultation, contact our office at 215-898-8965.